Motivation After Tragedy: Chatting with the Author of "True Grit and Grace"
One morning several weeks ago I was in the kitchen about to go for a jog when I was stopped in my tracks after Megyn Kelly on the Today Show announced who her next guest would be. Amberly Lago, a former dancer and mom who had overcome a horrific tragedy involving severing her femoral artery and shattering her leg, would be on the show after the commercial break to discuss her new book, “True Grit and Grace: Turning Tragedy Into Triumph.” After surviving a devastating accident that almost required amputation of her leg, Amberly endured an unbelievable THIRTY FOUR surgeries. Ultimately, her leg was saved, but today Amberly lives in chronic pain with an often debilitating condition called Complex Regional Pain Syndrome (CRPS). It might be hard to appreciate how horrific Amberly’s accident was unless you read her book or see the pictures. Most of the pictures were far too gruesome for me to share on the blog, but the photos below gives you some idea of the severity of the injury. If you know my whole story, you know why some of Amberly’s story really hit home with me on a personal level. Unlike Amberly, I don’t have any idea what it must feel like to contemplate losing a leg though. And it is hard to imagine how I would cope with the pain of going through 34 grueling surgeries. But I do know what it is like to live with chronic pain. I am thankful everyday that my pain has subsided, but I lived with it for long enough to know all about the research showing how chronic pain changes your brain. I know how it makes even the simplest of everyday tasks a major challenge. With no relief, chronic pain can–and does—often ruin lives. If you have never had chronic pain it is hard to understand what it does to your spirit, but the fact Amberly still lives with very severe ongoing pain and somehow manages to maintain a positive outlook on life is incredibly inspiring to me. The remarkably inspiring story Amberly told Megyn Kelly about overcoming her life-changing accident was enough to make me buy her book, but I didn’t realize until later that she didn’t share her FULL story on air. 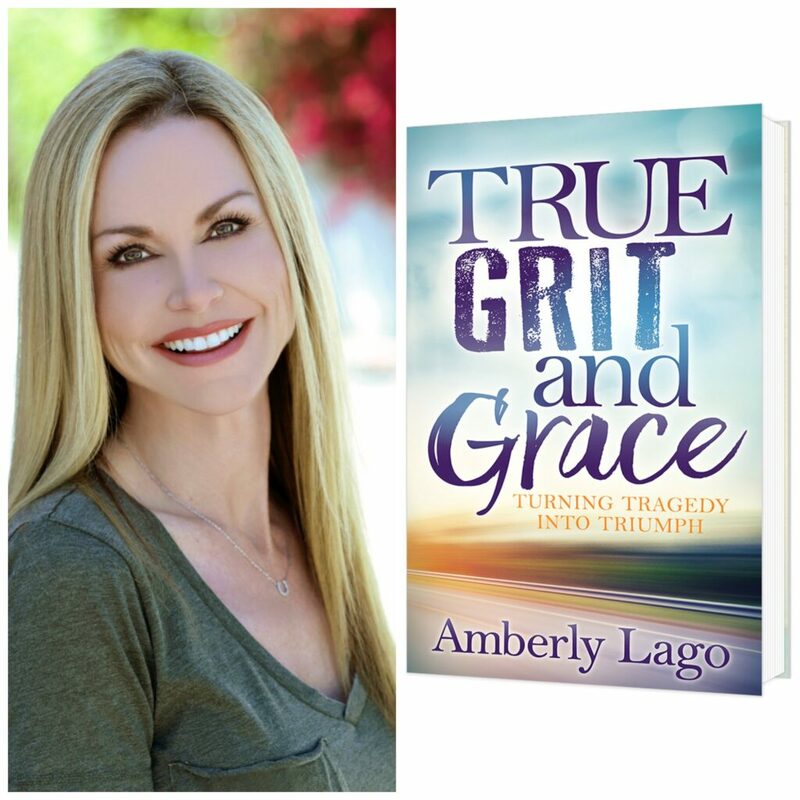 Amberly’s full story is in her book, True Grit and Grace. It’s a story that involves unthinkable childhood abuse, and one that makes you realize this is a woman who has suffered A LOT in her life. Learning to live with chronic pain, disability and the after-math of childhood abuse is enough to make most people feel as if their life is spiraling out of control. It is well known that a sense of losing control in life can often lead to depression. Although Amberly most definitely talks about going through many dark, dark days in her book —even days where she wished she had not survived her accident—she has a resilience about her that I worry I might not have. We all know we are going to face adversity in life, and at some point, if we live long enough, all of us are going to face life situations that are completely out of our control. No amount of clean eating or exercise or healthy living can fix every ailment. Sometimes we just need resilience. That’s what Amberly has. But where does her resilience come from? And what can we all learn from her? My friend Cherie Fromson, (our Clean Cuisine health coach) and I spoke to Amberly on the phone for a good hour. The call was supposed to be an interview but talking to Amberly felt like we were talking to a dear friend we had known for ages, so the “interview” was more of a conversation than a conventional interview. We talked about A LOT and it’s impossible to cover it all here, but these are our five takeaways (below) from the conversation. It’s hard to understand what makes someone tick, and sometimes it is even harder to analyze yourself, but these are the tools Amberly feels helped her with resiliency and motivation…. 1. Choose to Control What You Can Control. Total certainty with anything in life is, at best, an illusion. Which means we ALL could stand to benefit from the ability to shift gears and be more flexible with our expectations. In many cases, it is our expectations in life that lead us to despair. For example, if you expect to grow up, get married and have three kids and your life doesn’t turn out that way, you need to have the resilience to go in a new direction. 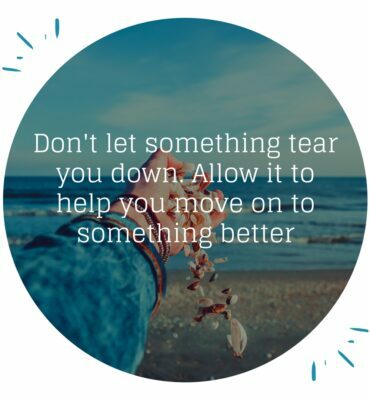 There are SO many things we cannot control in life and if we want to keep our sanity, we have to recognize when to exert control and when to let go. And when it comes to moving on after a tragedy, our thoughts can play a critical role. Believe it or not, you have more control over your thoughts and your mindset than you may realize. I am not trying to suggest that someone with mental illness can just “think” themselves better, but research shows every time you have a thought, your brain releases chemicals. You can change the chemicals and “rewire” your brain to be more resilient and positive simply by taking control of your thoughts. This is not to say it is easy work, but in a world that we have very little control over, it is comforting to know at least we can learn to control our thoughts. The cover of True Grit and Grace is of a highway lane that, after talking to Amberly, now has two meanings to me; the highway represents the road Amberly had her life-changing accident on, but it also symbolizes her “stay in your lane” motto. What does it mean to “stay in your lane?” It basically means don’t compare yourself to others. This one really resonated with me. Because let’s face it; life is especially challenging when you feel you are alone in your suffering. When you compare the “picture perfect” lives most people project (especially on social media!) against your own less-than-perfect life, you are far more likely to get yourself in a funk. And speaking of social media, I found it especially interesting that Amberly was not on social media while she recovered. In the wake of the Kate Spade and Anthony Bourdain suicide tragedies that just occurred this week, it is important when you are faced with overcoming a tragedy to realize that everyone has pain in their life. Many people either don’t talk about their pain or hide it, which is why it is so important to not compare yourself or your life to anyone else. Oprah does it, Arriana Huffington does it and so does Amberly Lago. The power of a gratitude journal is one you hear about over and over. Starting a gratitude journal really does help improve your outlook on life, which is essential to staying motivated. Gratitude exercises can have tangible benefits too. According to a study by researchers from the University of Minnesota and the University of Florida, having participants write down a list of positive events at the close of a day — and why the events made them happy — lowered their self-reported stress levels and gave them a greater sense of calm at night. In many ways, the act of writing in a gratitude journal has a tie-in to #1 (Chose to Control What You Can Control) above, because you are in control of what you decide to be thankful for. You control what you write down in your gratitude journal. And the more time you spend thinking about what you are grateful for (and undoubtedly there is always SO much to be thankful for! 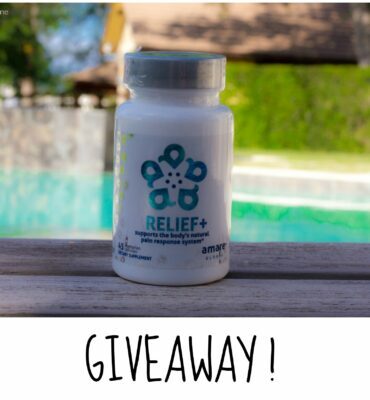 ), the more the exercise creates new “positive” neural pathways in your brain. In other words, starting a gratitude journal can help “rewire” your brain to be more positive and resilient. 4. Don’t Focus on Yourself. This is another one you hear about all the time. One of the best ways to help yourself is to help someone else. There are a jillion ways to help other people and when you help someone else you can’t help but feel better yourself. I am not a psychologist, so I don’t know all of the science behind it, but one team of sociologists tracked 2,000 people over a 5-year period and found that Americans who described themselves as “very happy” volunteered at least 5.8 hours per month. Researchers think that giving back might give individuals a mental boost by providing them with a neurochemical sense of reward. Or it might just be that helping others gives you a sense of purpose. The truth is, many people don’t develop real faith until they are faced with a life-changing crisis. The first time my faith was questioned was NOT when I was diagnosed with MS at twenty-two. Why? Because I got better. My parents started a prayer chain for me that went around the country and of course I started my anti-inflammatory clean eating diet —but because I started to get better it was easy to have faith. It wouldn’t be until 5-years after my diagnosis, on the day I learned my dear friend, AJ, had taken his life (he too had MS), that for the first time in my life I seriously questioned my faith. I simply couldn’t find peace with the loss. In fact, in looking back, I think one of the things that made my leg ordeal so incredibly difficult was that I really didn’t have unquestioning faith nor, I am sorry to say, did I have a regular spiritual practice at the time. Why was this happening to me? I just couldn’t find peace with the idea that I might not be able to walk normally again or that I might have to live with chronic pain. It’s not that I didn’t believe in God, I just couldn’t find peace with the situation I was in. I was raised Catholic and grew up believing in God, attending Catholic grade school and going to church. But going through the motions does not mean you are developing unquestioning faith. Unfortunately, having faith is not something you can just decide to have when the time comes. You need to work at it. As for how to find faith, I strongly believe it is a very individual thing. There is no one single path to take. Deep down I still worry I may still not have the resilience that Amberly has, but I do believe if I am ever faced with another serious life challenge that I will handle it better today than I have in the past. Having said that, whether you are going through a crisis now or not, strengthening your faith —or finding faith— can potentially be the most important thing you do. Amberly is emphatic that in the end it was her faith that pulled her through. I don’t doubt that she is right. I love this post. Thank you for sharing your story and Interview with Amberly. I too believe that “positive thinking” isn’t exactly what helps people because it still requires us to depend upon ourselves, which sometimes is expecting too much. I did a Bible study several years ago and it referenced some of Dr Caroline Leaf’s research. It’s amazing what reading scripture and focusing on the truth of Gods word can do to our brain-physically, not just thoughts. In Romans it says that we renew our minds by reading scripture and I believe it. Thanks again for sharing. Thank you Ivy for a wonderful article. Thank you for a beautiful article. I love how you added in the importance of faith. God fills in the gap’s where we can’t. What a timely article! I remember talking to my brother who had gone through rehab and depression. He said they taught him to realize that you must believe in something bigger than yourself. I haven’t read her book yet, but I bet Amberly would agree that no matter how many positive thoughts you try to have or how many times you volunteer, you just want to KNOW that you are loved. 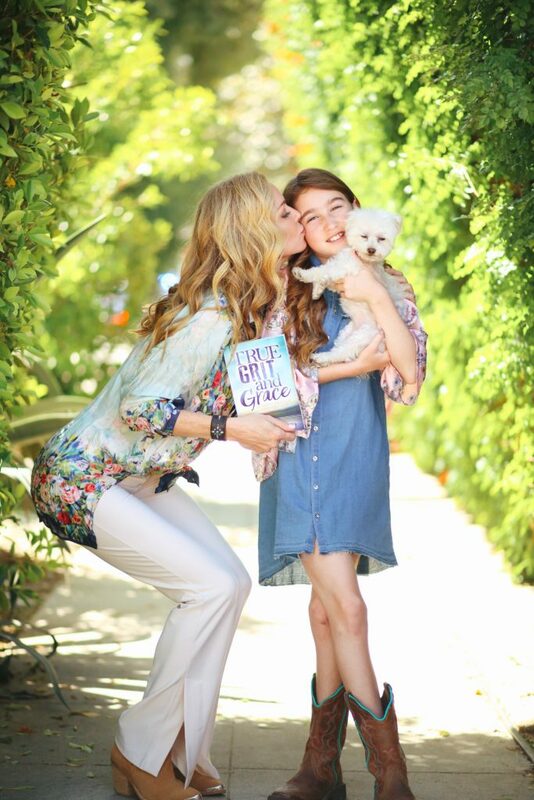 And that’s the “Grace” her book speaks to – that God knows you and loves you. Not because of the things you have done or wanted to do or wish you’d done, but He loves you because He made you. That’s the thing that’s bigger than us. God made us and loves us and wants us to know Him, through the Bible and His Son Jesus. In this era of suicide and depression, that’s the faith we can all hold on to! That is so beautifully written Michelle. Thank you for taking the time to comment. And I couldn’t agree more. When real tragedy strikes people need real faith…and love. Always love.